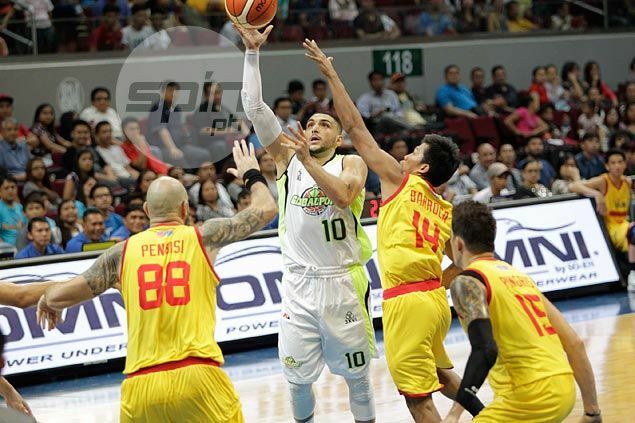 GLOBALPORT is expected to bring back Omar Krayem as its Asian import for the PBA Governors’ Cup that unfolds in late July. Batang Pier alternate governor Eric Arejola confirmed the development on Tuesday during the Philippine Sportswriters Association (PSA) Forum, saying they are set to make a formal offer to the Palestinian playmaker before the end of June. The 29-year-old Krayem averaged 14.4 points, 3.2 rebounds, three assists, and 1.5 steals in 25.5 minutes in 11 games for the Batang Pier in last year’s third conference where he emerged as the third backcourt option behind Terrence Romeo and Stanley Pringle. As for their regular import, the Batang Pier had earlier eyed former Air21 reinforcement Dominique Sutton, whose rights, however, are with Tropang TNT. The Texters secured the rights to the 6-foot-4 1/2 wingman by tapping him as a replacement for Steffphon Pettigrew, although he didn't get to play as TNT failed to advance to the playoffs. “Hopefully by early next week, we can come up with a final decision with coaches and management,” he added. The coaching position race, currently between Eric Gonzales and Johnedel Cardel, is still undecided. “We’re still discussing, but definitely it’s from within the organization,” team owner Mikee Romero said.